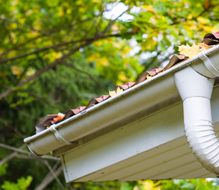 Making sure your home's roof in good condition is really not an option, unless you enjoy throwing money out the window. Your roof doesn't just protect your home from the elements; it's a key regulator of energy use. At Roofman llc., we know just how to ensure you have a solid and sturdy roof. Experienced with residential roofing, we are capable of handling any project. Whether you've got a leak you can't seem to find, need a few tiles replaced, or want to have a new, energy efficient roof installed, you may count on us to do the job right.We also install siding and can handle most of the repairs Your home needs.